Meassure pH, ORP, Conductivity, TDS, Salinity. Milwaukee range of waterproof pH meters. 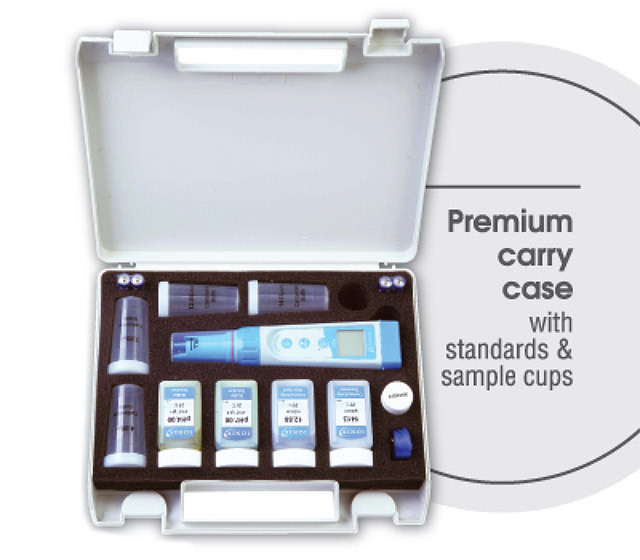 Milwaukee's Blue range of waterproof testers supercedes the IP67 range and represents the new wave of pocket-sized pH, Conductivity and TDS meters. These waterproof testers incorporate one of the world‘s first user-replaceable electrodes to increase the longevity of the instrument. These light-weight testers are built for rugged outdoor use and wet applications. 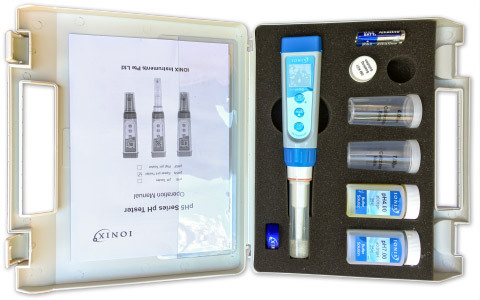 The waterproof pH tester comes with a 2 point manual procedure for direct calibration to eliminate the difficult push button system used with other meters in the waterproof range. The pH52 and pH 53 have a separate visual temperature reading in the LCD. Packaged in a sturdy plastic case with foam inlay and a button down side for ease of opening. Milwaukee is a trademark of the Milwaukee Co. 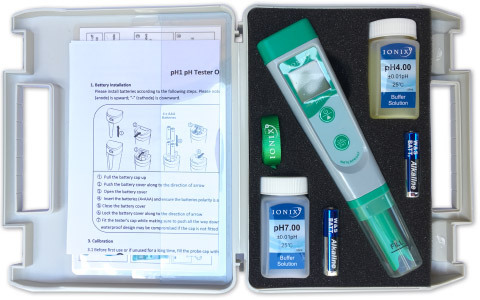 Compact Water & Sap Quality Meters for pH, conductivity, ions and salinity. 7 parameters, 11 models.